You may have start decorating your house already, with Christmas tree, candles and garlands everywhere but have you start baking like if it was Christmas? I'm so looking forward for those holidays to come, that this weekend I wanted to bring some sweetness to my flat by baking (of course) something cute, not too heavy and small. One or two bites is enough (I do not workout for nothing after all). I don't know if Ferrero Rocher is as well known in France that elsewhere in the world, but in France, for Christmas, it is almost like a tradition. 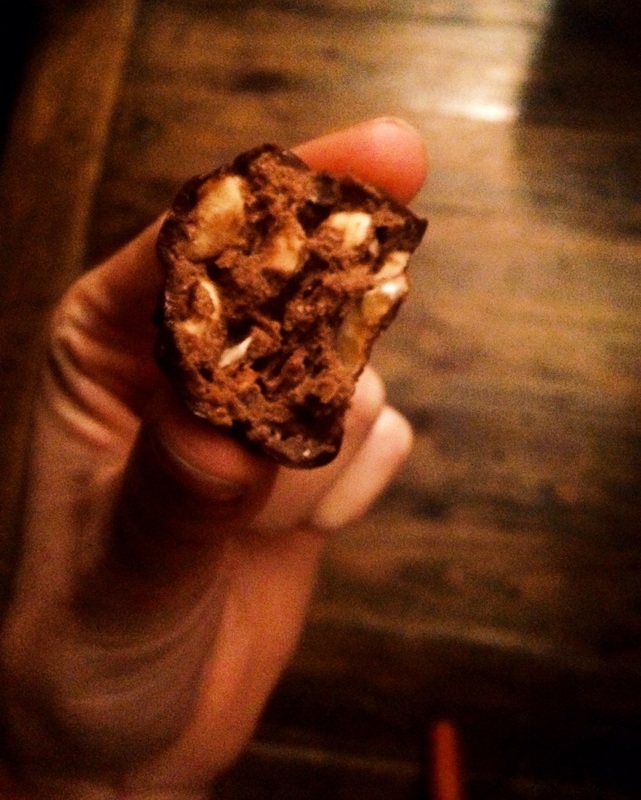 A chocolate truffle-like candy full of hazelnuts... Hum delicious! But how to make it healthy? Gluten free, dairy free, sugar free and vegan? While still feeling the chocolate goodness and the hazelnut crunch? That was my sunday challenge! Pour the toasted/chopped hazelnuts in a bowl with the homemade Nutella and mix until well combined. Refrigerate your mixture for 30 minutes. Take a tablespoon, pour out a bit of the hazelnuts spread and on a different plate, flatten like a small round. Add one teaspoon of hazelnut spread on top of the hazelnut and mold into a ball shape. 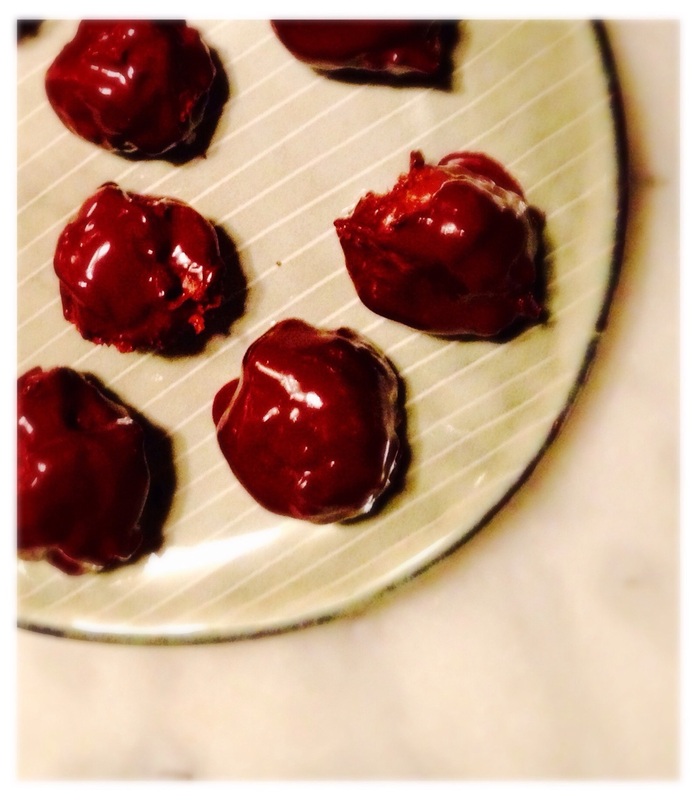 Make 12 balls and refrigerate for at least 30 minutes. Melt dark chocolate and stir in the chopped hazelnuts left (topping) and mix well. Take one Ferrero Rocher at a time and dip in chocolate coating using two forks in order to remove excess. Continue with the 11 left and refrigerate to harden for about 30 minutes.